This is an authentic Japanese restaurant that has come up in St. George. Owner Tammy Warner launched this restaurant in August 2012. The red colored single storied building with glasses on black frames sits at the corner of York Street. Inside, it simulates the feeling of a Japanese garden. Tammy herself is a Sushi enthusiast and has employed a Japanese chef to prepare all the well known Sushi dishes. The menu includes a range of tempura items (including veg, calamari, shrimps, scallops, crab etc), Sashimi items (with tuna, yellow tail, red snapper, squids, salmon, shrimps etc), and also a wide variety of Nigiri items. One of the specialties here is the Tamasun's Special Roll which has a combination of crab stick tempura, cucumber & avocado inside and scallop, masago outside topped with special Mayo sauce. They offer various other types of delicious rolls including the Bermudian Shrimps, Philladelphia Salmon, Tuna on the crispy boat and lot more. Another exciting roll is Tiger Eye which is a wrap with spicy tuna, shrimp, squid and cucumber in an Egg Crepe, with the outside comprising of Masago, and topped with Japanese Mayo. The restaurant also claims its Spicy Tuna Taltal as a unique dish prepared here. You can start with an appetizer ... they do have several in the menu including Satay of beef, boiled green beans, mango salad, tuna salad, spring rolls, miso soup, seafood tofu and more. Other than Sushi, the restaurant also offers Chines dishes just in case you have someone with you who is not yet fully into Sushi. The menu is limited but good enough to have a good meal. Some of the nice Chinese dishes includes special fried rice, lo mein (egg noodles), foo young, butter sauce chicken, Mongolian beef, Szechuan beef and chicken preparations etc. If you are deciding on Chinese, then try out one their fusion Chinese dishes. In dessert, you have the choice of tempura ice cream (ice cream with fruit sauce) and special yogurt topped with mango sauce. Although the restaurant is banking mostly on locals, it also expects to be popular with tourists and expatriates. All the floor staff in the restaurant are Bermudians. Dress code is Smart Casual. There is also an outside patio for dining. The restaurant is wheel chair accessible. Parking is available. They also offer take out food. 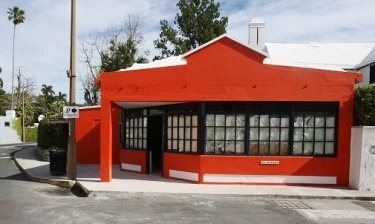 38 York Street, St. George Bermuda. The restaurant is located at the corner of York Street at the old Crisson's building and across Somer’s Supermart. 1) Check out Top Bermuda Restaurants for our favorite dining places in Bermuda. 4) Check out St George's Town to know about the historical Town of St. George, its attractions, activities and more. 5) Check out St. George's Parish to know about the parish and all its attractions & activities.